Pixel is a boutique four level “Green” office building. 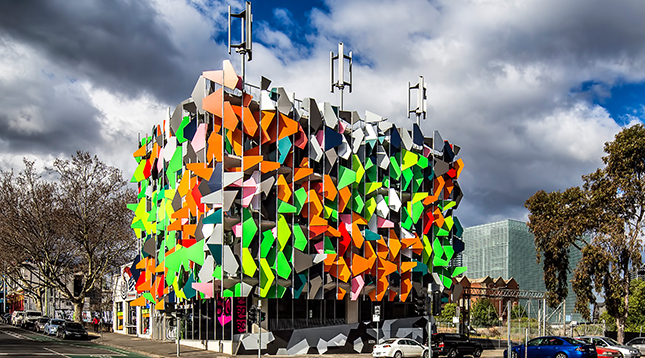 With its striking façade, Pixel incorporated innovative and cost effective strategies to achieve a perfect 6 Star Green Star score of 100 points. Carbon neutral and water balanced, the building contains an impressive array of sustainable design technology and innovation, including wind turbines and photovoltaic panels on the roof and vacuum toilets and an anaerobic digester.